The thyroid gland was first identified in 1656 by the English anatomist Thomas Wharton. For describing the thyroid’s functions, the Swiss surgeon Theodor Kocher received the 1909 Nobel Prize. Starting in 1874, Kocher removed the entire thyroid gland from a series of patients with enlarged glands over the next decade. His operations were highly successful, reducing the mortality rate of this previously dangerous operation to negligible levels. But almost uniformly, his patients experienced fatigue, lethargy, and feelings of excessive cold. We now know that the thyroid participates in a variety of essential life cycle events, including energy utilization, growth and development, metamorphosis, reproduction, hibernation, and heat generation. The thyroid is among the largest of the endocrine glands, present in all vertebrates, and located in the neck region in tetrapods (those with limbs having digits). Thyroid hormone increases the metabolic activity of virtually all body tissues and increases the rate at which foods are utilized as sources of energy. In response to a release of its hormones, there is an increase in the number and size of mitochondria—intracellular bodies where adenosine triphosphate (ATP) is generated to provide energy to carry out cellular functions and, in the process, generate body heat. The effect of thyroid hormone on growth is mostly seen in growing children, with hypothyroid children exhibiting mental retardation and growth that is slow and stunted. During the course of evolution, the thyroid gland has assumed different functions in different species. In 1912, J. Frederick Gudernatsch, working at the Cornell University Medical School, fed tadpoles mammalian thyroid and was able to induce metamorphosis. 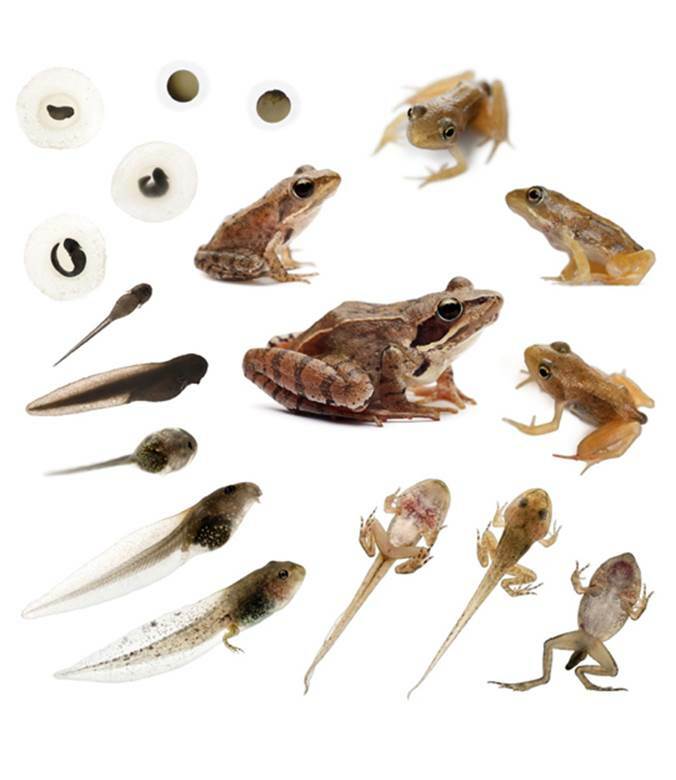 Tadpoles transformed into adult frogs: the external gills of newly hatched tadpoles disappeared, a large jaw developed, the eyes and legs grew rapidly, and the tail was resorbed. By contrast, when the thyroid gland was removed from tadpoles, metamorphosis failed to occur. Flatfish also undergo metamorphosis. In an early stage in their development, they are bilaterally symmetrical, with eyes on both sides of the body. During metamorphosis, one eye moves to the other side, which becomes the upper side of the fish. SEE ALSO: Amphibians (c. 360 Million BCE), Metabolism (1614), Secretin: The First Hormone (1902), Mitochondria and Cellular Respiration (1925). Thyroid hormones play a major role in the development of vertebrates. Perhaps nowhere is this more striking than in the metamorphosis of the tadpole into the adult frog.